Easter is approaching, and that means more decorations to install. And where do we keep all our decorations? In our self-storage unit. What would Americans do without the ability to house our seasonal decorations? I’ve got not one, but two units – it takes that much to house all the material things we’ve accumulated and can’t bear to part with. I don’t know what percent of all seasonal decorations are placed in self-storages, but I’m sure that the holidays would be impossible without the aid of that locker. So where does the Easter Bunny and all his paper mache kingdom live the other eleven months of the year? I guess you know the answer. The typical lifecycle for a foreclosed self-storage facility is to ultimately end up at an auction. The lender has given up hope on the borrower, posts it for foreclosure, goes through the legal process, and then takes it to auction to put it in the hands of a new owner and to formally take its loss on the loan. Some of the best deals to be found are in these REO auctions. But buying at auction has a myriad of risks if you do not know what you’re doing. Here’s a quick summary of what you need to watch out for. The concept behind an auction is that a property is sold to the highest bidder, with payment being made in full in 30 days from the end of the auction. This is considered a fair way to realize the highest current price in the fastest time frame for the lender. Sure, the bank might get more money if it placed the property with a broker and marketed it in the regular channels – but that might take months or years to accomplish, and might also resort in multiple failed attempts when buyers don’t go forward and close. The theory and the reality don’t match. When the bank sells the property at auction, the number of potential buyers is hugely reduced due to the lack of suitable timeframe to obtain financing, as well as the awkward due diligence approach (in which you have to do your due diligence prior to even knowing if you will be the buyer). While banks pretend that they are getting a good price in a short time frame, the truth is that they are getting a terrible price most of the time. The only reason that auctions exist is that it’s not the bank officer’s money that is being poured down the drain; only that of the bank’s shareholders. There are two huge dangers in buying a self-storage facility at auction: 1) overpaying due to poor due diligence and 2) not being able to get the deal closed within 30 days. Let’s go over each of these in more detail. 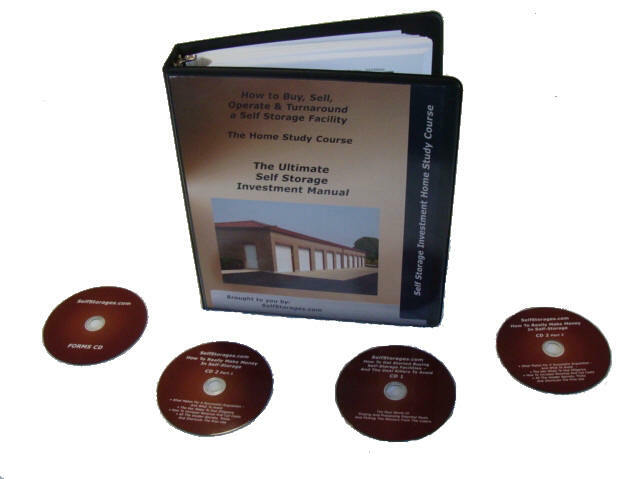 Under the auction scenario, you have to do your due diligence before you have it under contract. As a result, many bidders fail to commit to thorough diligence, and do not uncover all the problems with the property. In so doing, they leave the door open to nasty surprises upon winning the auction. Over the years, we have seen every possible doomsday scenario, from people buying properties without adequate permits or licenses, properties with environmental contamination, properties without the expected current occupancy – everything bad you can imagine. Even if you uncover these issues before closing and walk the deal, you still lose the 10% deposit you had to pay at the end of the auction. That’s a huge penalty for doing a poor job on your pre-auction homework. The other landmine is getting the money together for closing within the 30 day window. Getting a bank loan within 30 days from start to finish is a herculean effort and comes with a huge amount of risk of failure. And the all-cash scenario means that you have to have your funds liquid and ready to go fast. Screw up and you lose the property and your 10% deposit. These two main problems are what create all the opportunity. By scaring away most buyers, the competition at the auction is far less than on the open market. We’ve won properties many times in which we were the only bidder – we simply bid the minimum amount and win. Some of the lowest pricing we have ever seen has been at auctions. And don’t forget that the former borrower has run the property into the ground normally, so the bank’s expectation of value is already low and, in most cases, you can have huge net income boosts immediately after closing. In one case, we bought a property and sold it for twice as much in less than a year. 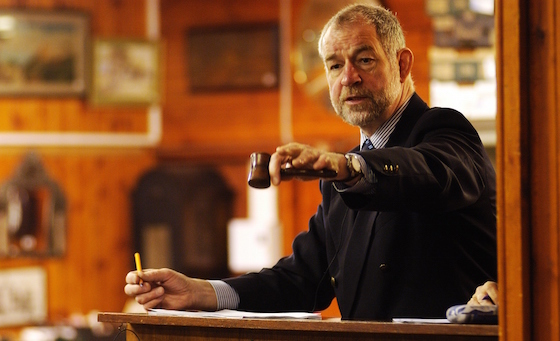 Buying at auction is a great way to get a great deal – if you know what you’re doing. Is it worth the risks? Absolutely. But only under the condition that you have a plan to do proper diligence and close in the required time frame. Storage Express, a fast-growing portfolio of self-storage centers in the Midwest, is tearing down an old hotel in Indianapolis and building a mixed-use development that will include the company’s headquarters, a self-storage facility, and possibly a hotel or restaurant. Storage Express purchased the 9-acre plot near Interstate 465 and U.S. Route 31 in November for $1 million at a lender-ordered online auction. Two other Illinois properties were included in the purchase price. The hotel was developed in 1966 by Jim Dora Sr. as a Holiday Inn. It later became a Ramada Inn and then operated as an independent Cavalier’s Resort in 2011. The hotel was closed in 2013 by order of the Marion County Health Department after small fires were set within the property by squatters. It had also suffered a great deal of vandalism and become completely dilapidated. The property had been on the foreclosure list for a lengthy period when the Texas lender that held the mortgage also collapsed. It later came under the control of an Illinois bank that acquired the Texas lender’s assets. The mixed-use development will include storage units and an 8,000-square-foot office building on the north end of the property. The company’s current 3,000-square-foot office is only about a half-mile north of the hotel. Demolition of the hotel began in January and is expected to be complete in April. Construction on the office building will commence shortly thereafter. “You’ve had this overgrown, boarded-up hotel there for the past four years. I think it would be a pretty ripe piece of property for something bright and new,” said Storage Storage Express founder Jefferson Shreve, who represents District 23 on the City-County Council of Indianapolis-Marion County, in which the blighted property is located. In addition to the self-storage development, there is enough land for him to still sell off a portion to another user such as Cracker Barrel or a restaurant that likes interstate exposure. Founded in 1992, Storage Express owns and operates 87 self-storage properties in Illinois, Indiana, Kentucky, Ohio and Tennessee. “People who need people, are the luckiest people in the world” is the declaration of Barbara Streisand in her hit single. However, in real estate, the existence of people causes only problems. People are not really required in any real estate niche for the buildings to operate, but without people inside, you don’t get paid any rent. The lone exception, however, is self-storage. 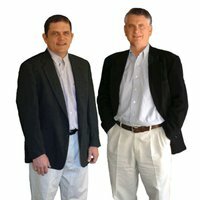 One of the most unique attributes of self-storage is that humans are rarely on property and have nothing to do with occupancy and obtaining rent. Humans are a huge drain on resources. They require heating and air-conditioning. They use a huge amount of electricity. They need plumbing and toilets to fix. They complain constantly and often create legal liability with slip and fall claims, etc. There is not a landlord in America who does not count as their favorite customer the ones that pay their rent but are never there, such as all the renters of the luxury apartments in New York City that live overseas and never, ever stay there (but simply keep the rent paid and the key in their pocket in case they need to flee the country). There’s really not a single benefit to having a human on your property except that, in most real estate sectors, no people equals 100% vacancy. When you develop a business model that does not include constant human residency or contact, as self-storage has done, you have eliminated the biggest drag to earnings and management. These benefits include utility costs, repair costs, insurance savings, and many others. But an equally large savings is in the capital cost to keep the property attractive for rental. In self-storage, you don’t have to worry about costly upgrades to keep the units up-to-date in appearance. Imagine the huge cost to keep your hotel current, with complete interior and exterior upgrades required every few years, just to keep customers coming in. Since self-storage users don’t live there, as long as their unit can keep their stuff safe and dry, they could care less what color the stucco is on the exterior. The lack of humans is what gives self-storage facilities such a low operating expense ratio of around 30% to 40%, with a nationwide average of 37%. As a result, you keep more of any dollar you bring in. It also means that you can significantly increase the property’s net income with even small improvements in occupancy and rental rates. Compare the difference if you own a hotel, in which the operating expense is roughly 70% of revenue in many cases. Self-storage facilities have some unique advantages through the absence of people. People may be fun to be around, but not when you own real estate.